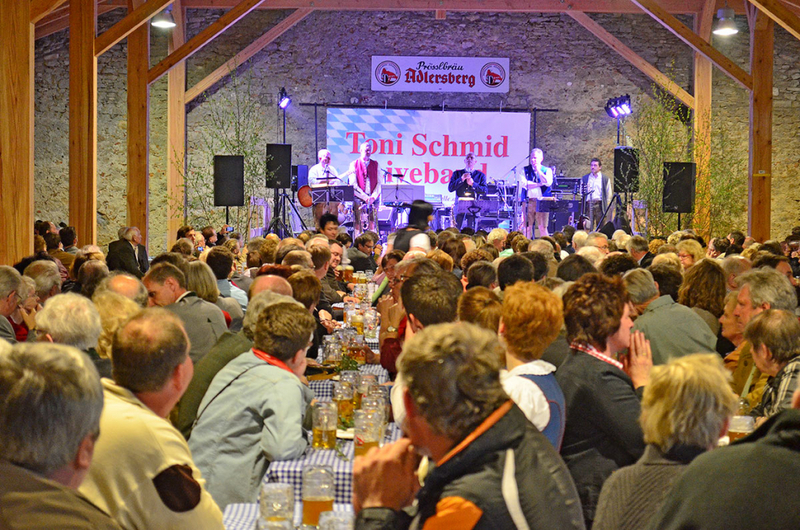 Generations of people from Regensburg, as well as thousands of guests from both near and far, have gone on pilgrimage to the top of the Adlersberg (Eagle Hill) to be able to enjoy a few relaxed hours there. 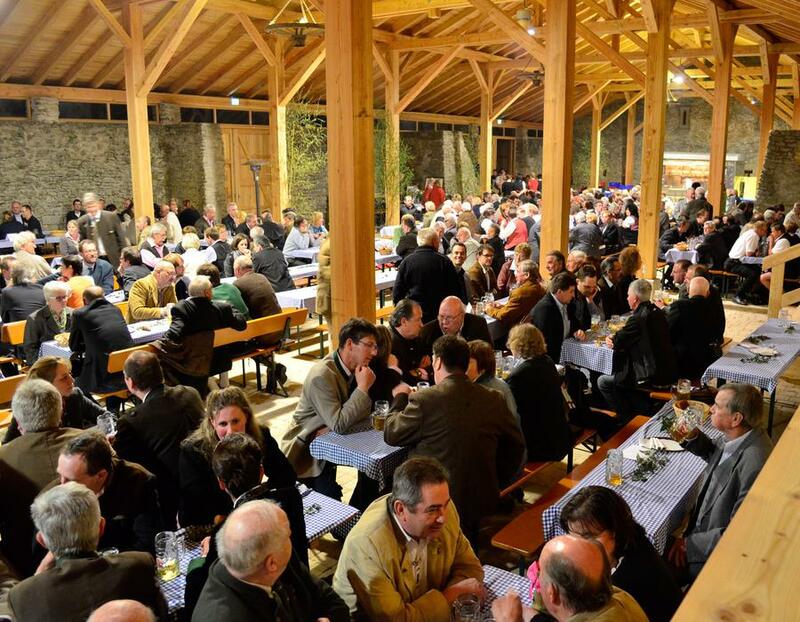 What gives it this special flair of pure Bavarian hospitality? Is it the home-brewed beer, the typical Bavarian dishes, the well-kept guesthouses, the idyllic beer garden or the view out toward the Danube Valley across Regensburg? Everyone will have their own answer to that question but ultimately, it is a mix of all those things combined that makes the Adlersberg the unique place that it is. Open: Tuesday – Sunday from 8:00 AM to midnight. 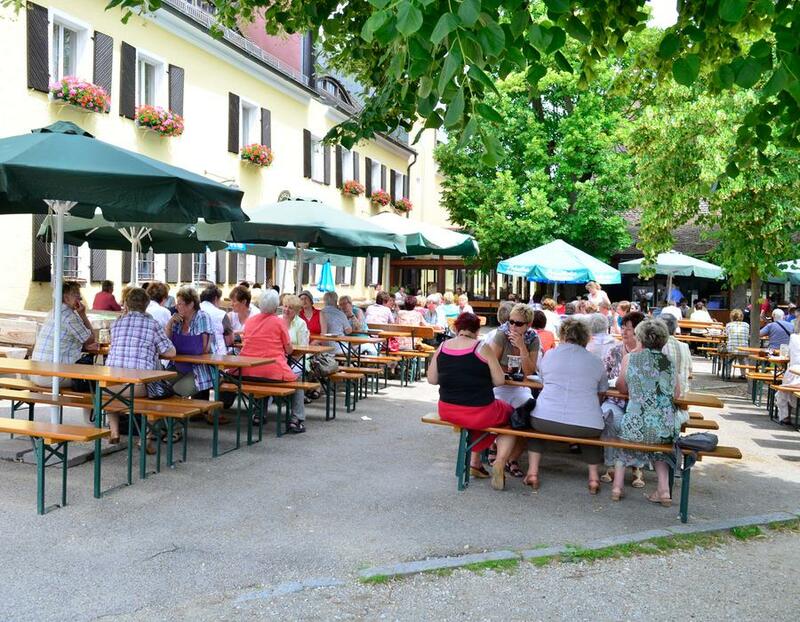 The restaurant with its traditional pub catering to day trippers right at the gates of Regensburg has one of the most beautiful beer gardens in Bavaria, in which you are warmly invited to come and feel welcome in as our guest. 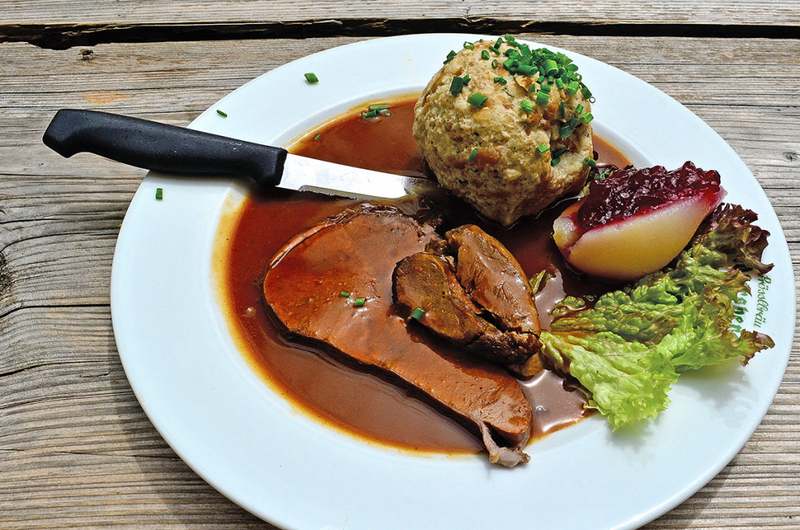 The Adlersberg team will spoil you with typical Bavarian foods from the extensive menu, regional delicacies, and well-kept beers from our own monastery brewery. 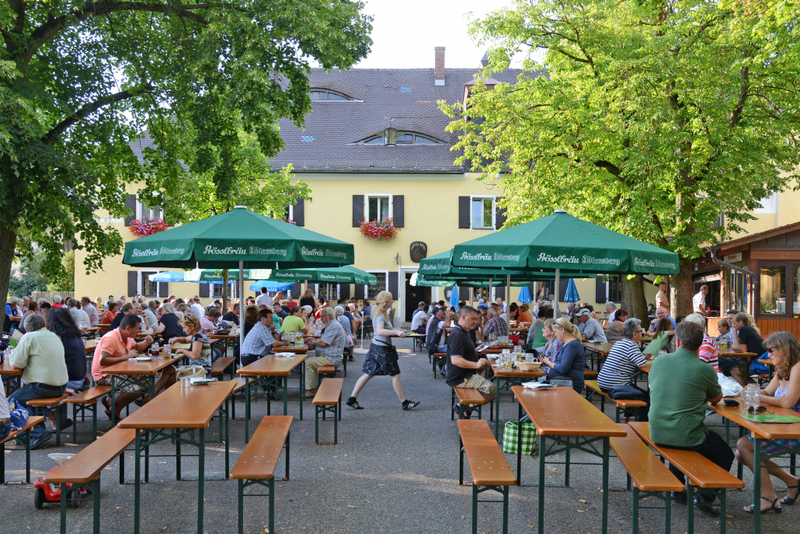 The premises easily fit 25 to 200 people and together with the shady beer garden, it offers you the perfect place to gather for both large and small merriments and celebrations. We all know there’s always a reason to celebrate! The hotel has twelve cozily furnished single and double rooms. Every room has its own bathroom, TV, wardrobe and also, a table with chairs. The hotel is located on the side of the building facing away from the beer garden, and has its own entrance and parking lot. A generous breakfast is included in the prices, which range from 41,- € to 61,- €. 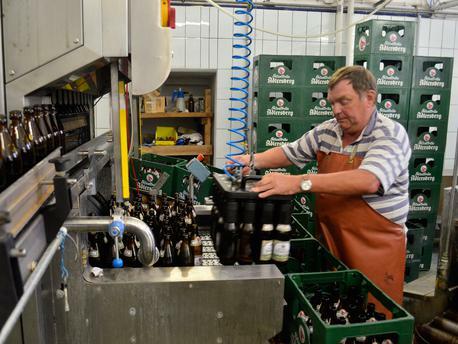 The brew masters at Eagle Mountain measure and decide upon the taste of each and every liter of beer to ensure its high quality. We deliberately refrain from using modern computer and processing technology in favor of relying on traditional handicraft and manual labor. Our beers continue to ripen week after week until they become, that for which they are known, unmistakably unique and delicious tasting delights. We brew six assorted beer specialties year-round here on the Eagle Mountain. Among the most popular is our Vollbier (full beer), the Palmator. 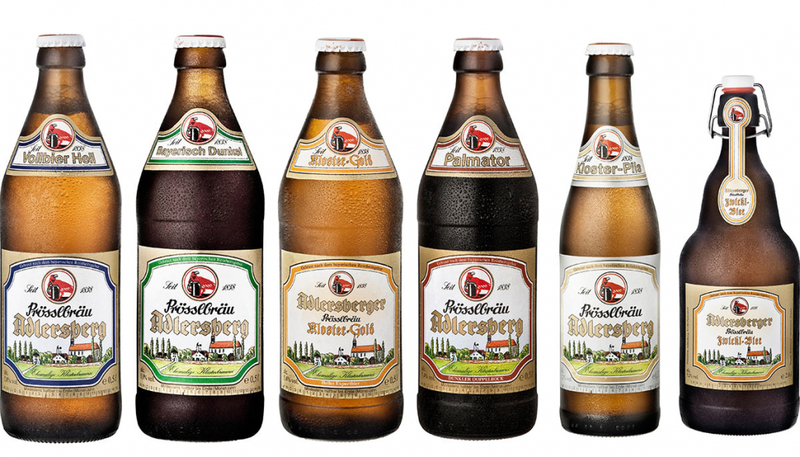 With its richly pronounced malty aroma and defined by an off-dry hoppy note, it makes the Adlersberg world famous.